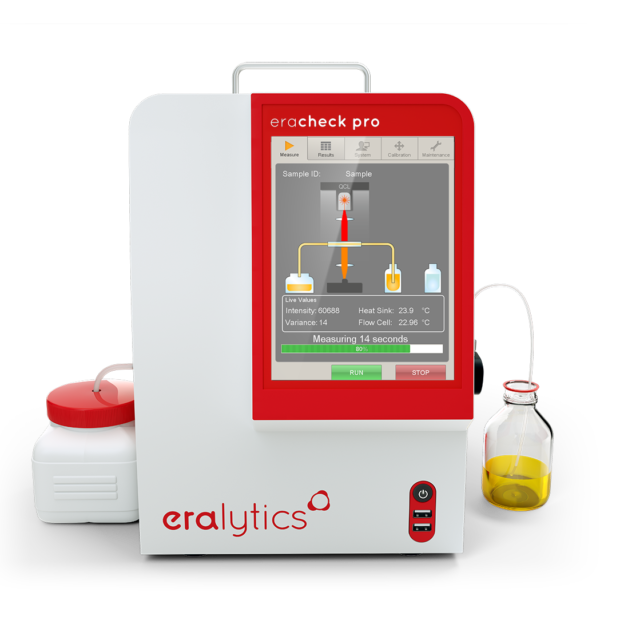 ERACHECK PRO is the industry leading measurement device for CFC-free and reliable oil-in-water or oil-in-soil testing. The only fully ASTM D7678 compliant analyzer on the market, it combines all benefits of the withdrawn IR method ASTM D3921 with the advantages of CFC-free solvents. It measures sub-ppm concentrations of Total Petroleum Hydrocarbons (TPH) and Total Oil and Grease (TOG) in water and soil. ERACHECK PRO is the first and only measurement instrument on the market that uses the latest Quantum Cascade Laser (QCL) technology to measure liquid samples. This measurement technique is covered by international patents held by eralytics and our partner QuantaRed Technologies GmbH, allowing a major step in easy-to-use, precise and environmental friendly oil-in-water testing. The inital research on Quantum Cascade Laser technology for measurements in the liquid phase was performed at the Vienna University of Technology. 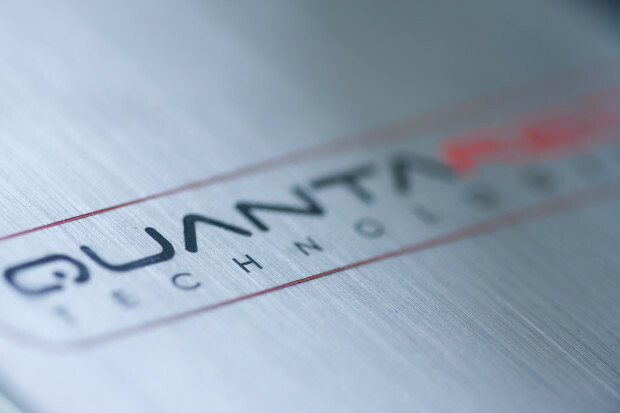 Soon the company Quanta Red was founded to pursue the goal of building a robust measurement cell for oil-in-water testing. With eralytics as a partner ERACHECK was developed in 2008/2009. 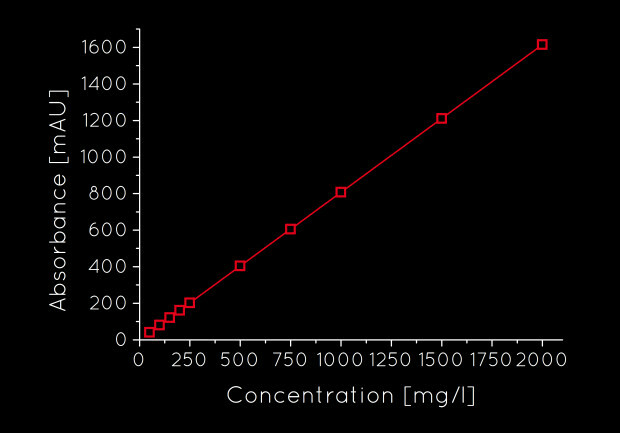 ERACHECK PRO shows a linear behavior over the broad measurement range of 0.2 to 2000 mg/l during oil-in-water testing. 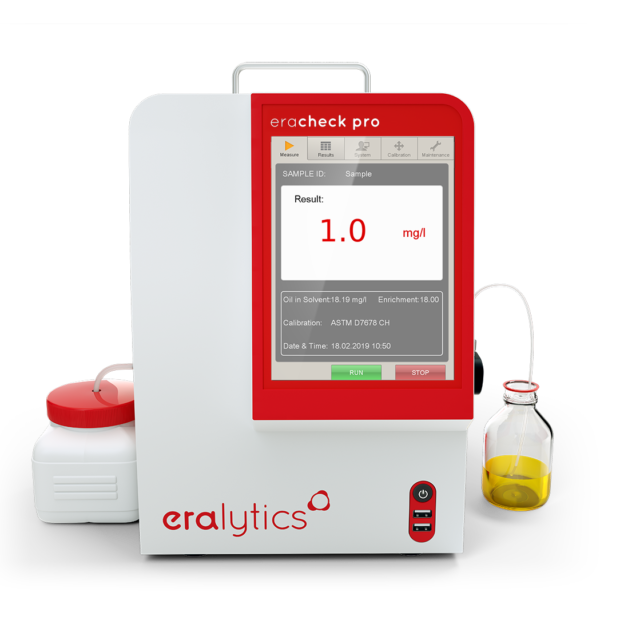 At the low end of the concentration ranges ERACHECK PRO offers a repeatability of 0.1mg/l and at the high end it still delivers a repeatability as good as 0.1%. ERACHECK PRO also perfectly correlates to gas chromatography (e.g. ISO 9377-2 (mod) OSPAR), gravimetric (e.g. EPA 1664A) and infrared (e.g. ASTM D7066) oil-in-water testing methods. You are guided through the whole procedure by instructions on the screen. The measurement procedure is visualized on the screen and after the measurement the result is displayed. The extraction parameters for the oil-in-water testing can be adjusted to your needs. Watch this video to get an overview on the sample handling and measurement procedure of ERACHECK during oil-in-water testing. 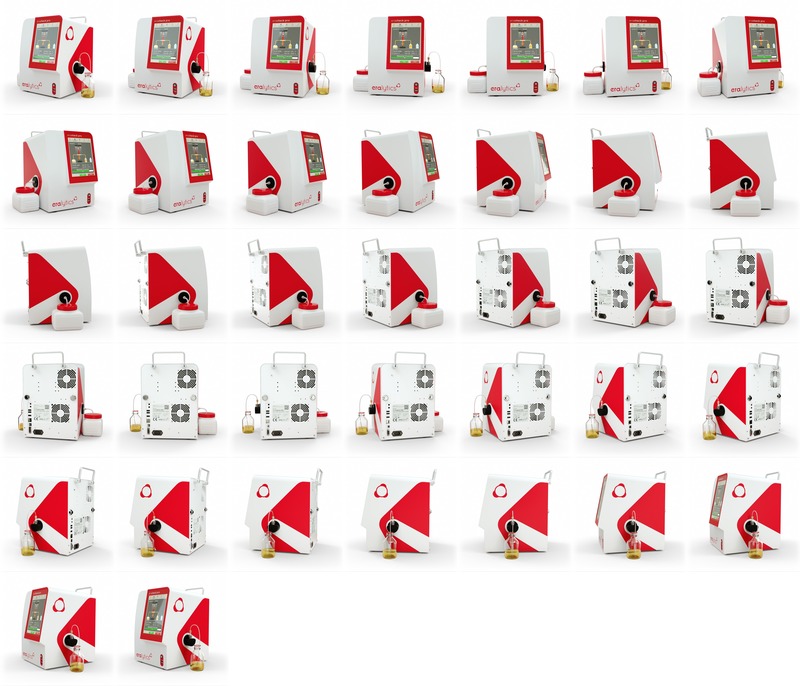 In this video by Directa Puls SpA the ERACHECK is used to determine the water quality of before a diesel spill and after the diesel spill is cleaned up by Basic G+ (a super-expanded, accordion-like graphitic product). As it can be seen in the video, ERACHECK is able to measure an aqueous hydrocarbon content in the range of 0.2 mg/l.